For many people, having a child is the cherished dream. But according to statistical researches nearly 15 percent of couples are unable to have children. 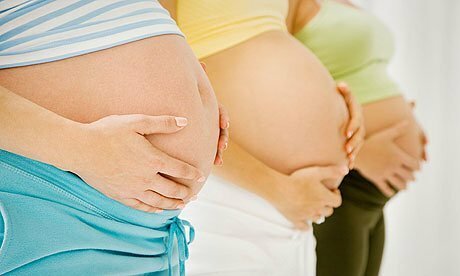 By using the services of surrogate mother these individuals can have a desirable child with gene characteristics from one or even both parents. However, attitude to surrogacy is often rather ambiguous. In most countries, gestational surrogacy is legally prohibited (McLachlan, Hugh V.; Swales, J. Kim). Many religious organizations are frown upon the process of surrogacy, which can be the only option for some individuals to start their family. There are a few ethical considerations which are brought to mind by society. First of all – every woman, carrying a baby, has not only a physical, but also a unique emotional connection with a baby. After birth, she has detach herself from a child, which may cause negative consequences on the health (Glannon, 2005). Secondly – some legal issues may arise in case of which involvement a surrogate mother will have after babies born despite the fact that she was the child’s primary caretaker. The third consideration applies to identity of the child. Informing a child of his or her surrogate mother may have an impact on self-identity. It is expected that the intended parents will reimburse the surrogate mother for her medical and other related expenses. When it comes to direct compensation under the contract, surrogate mother gets nothing if the contract is not fulfilled or she receives partial payment if the pregnancy results in a miscarriage. If remuneration is out of order, it may be considered as baby selling (reproductive prostitution, baby trade, selling body) by the pregnant woman. Surrogacy should be considered as an ethically acceptable and altruistic act for helping infertile couples if all ethical standards are practiced. Glannon, Walter. Biomedical Ethics. Oxford university press, 2005. McLachlan, Hugh V.; Swales, J. Kim. Commercial Surrogate Motherhood and the Alleged Commodification of Children: A Defense of Legally Enforceable Contracts. Law and Contemporary Problems, Vol. 72, No. 3, Summer 2009. This ethical essay sample is presented as an example of how an essay should be written. Don’t use it as your own poiece of writing. If you want to get a well-structured essay, you may order it on WriteMyEssayOnline.com.